In any country you will find natural vegetation invaded by weeds, from rampaging vines to promiscuous and prolifically self-seeding annuals, and even trees that envelop all below them. But as a recent arrival in a new/old garden, I am astonished at how many plants are still grown and sold as acceptable ornamental garden plants that are a nightmare for anyone living over the other side of the fence. Often it’s ignorance, sometimes just couldn’t-care-less, and even occasionally malice that sees plants that should never, EVER be planted in suburban gardens causing grief for every neighbour. What horrifies me is that these plants are still sold and promoted as suitable for home gardens, even while we’re seeing residential land sizes and garden areas rapidly diminish. While many weeds are spread by birds, or wind or water, there are also many weeds and highly invasive plants that are spread by ignorant people buying and planting them. I have had many of the nightmare plants listed below invading either this, or previous gardens. In each case I have laboured and struggled to rid my garden of the plant, cursing at every attempt the madman or woman who put them in the ground in the first place. Other plants are on the hate list because I know a GardenDrum author who has had a similar depressing experience either trying to deal with, or remove them from her/his own garden. And one is on the hate list, not because of its weediness but because of its special stench, which I can honestly say is just as appalling to live next door to when it’s planted en masse. And many of them are still for sale in nurseries, ready to be bought, brought home and then released on an unsuspecting neighbour. To me, these plants are even more infuriating violators of an otherwise peaceful existence in this beautiful part of the world than the Cujo-sized dog across the valley that barks in the night, or the neighbour’s cat that digs up my newly-planted herbs, or even the lazy postie who deems it acceptable to create deeper and deeper motorcycle ruts along the soggy grass footpath instead of using the road. They must and will die. “a weed is only a plant out of place”. I say there is no place in home cultivation, except perhaps in a pot in an alarmed and guarded vault, that these plants are NOT out of place. English ivy comes first as I hate it the most. I’m now in my third garden in 20 years, and I’m confronted yet again with the same old enemy, English ivy. (Maybe it’s my Scottish genes?) Often planted to ‘soften the bare fence’, it rapidly spreads by underground stolons and smothers everything in its path. The leaves have such a waxy cuticle that it shrugs off a spray with conventional glyphosate poisoning with ease. It’s clinging feet can scale fences, houses and trees, often causing death to the tree and permanent damage to brickwork and render. 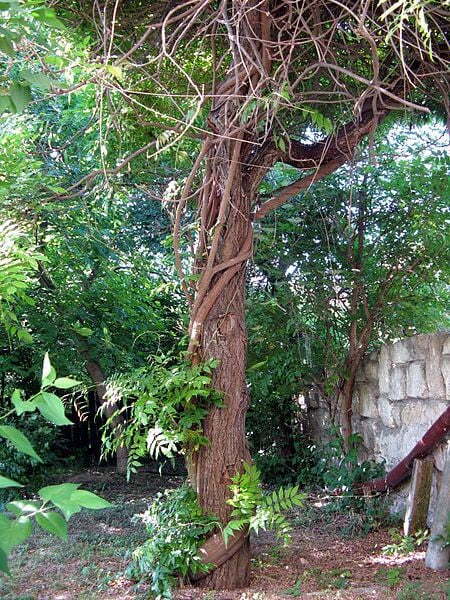 Old ivy will become arborescent, which means it develops a different, more woody growth habit and even larger leaves. Often blamed for causing allergic hayfever when its disturbed, I think it’s actually the accumulated dust of many years that’s built up, as its dense and waxy foliage acts like an umbrella even in prolonged rain. I do know that spending any time near it starts me sneezing and wheezing. 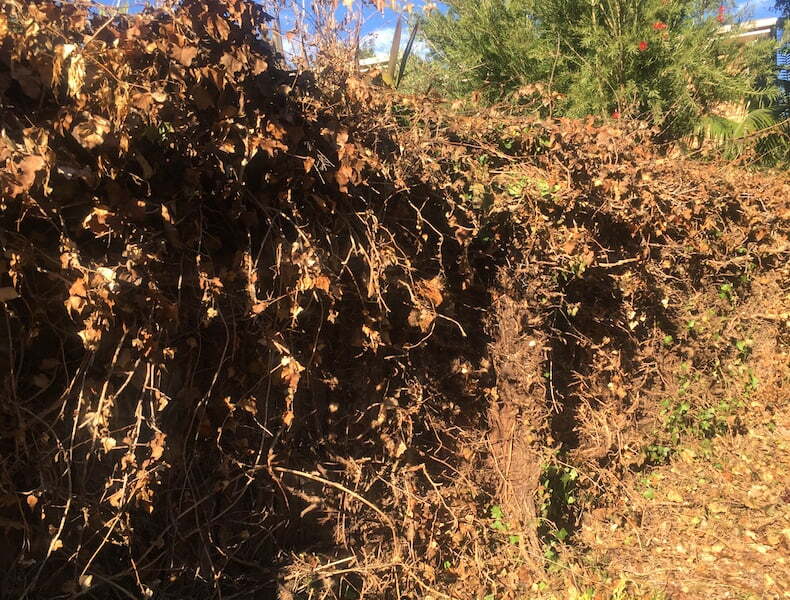 Eradicating ivy: From my experience, the best removal treatment is stem-scraping, or frilling in conjunction with full-strength glyphosate. Don’t try to get rid of ivy by spraying its leaves or cutting it down and painting herbicide on its stumps. It may feel good at the time to quickly remove all that biomass but a slow and relentless offence will prove much more successful. Using a sharp knife, (or a potato peeler on small, soft stems, and a hammer and sharp chisel on old, tough ones), cut or scrape a 25-50mm (1-2 inch) long by 5-10mm (¼-½ inch) wide section of the bark back to revel the green cambium layer beneath. This produces a thin curl or ‘frill’ of bark, giving the technique its name. Don’t ringbark the stem – you need to get really nasty here and keep it alive while you kill it slowly. By dribbling undiluted herbicide on this exposed plant tissue (I use an old squeeze sauce bottle with a twist top), the ivy will translocate it around the plant, even to the roots. It may take several weeks for you to start to see dying foliage. As the browned leaves fall, you’ll be able to get to the tangle of stems below and you’ll also see where you need follow-up treatments on the still-green areas that you’ve missed, or on another part of a thicker stem. Wisteria is like a disarmingly charming and good looking friend who turns out to be your basic psychotic nightmare. When it’s dripping with scented purple or white blooms, it’s divine. It looks so cottagy, so pretty, so fairy-tale. But as the flowers fall, its true nature is revealed – it is really a huge and malevolent serpent that will loop its way underground to appear many metres away from where it started, ready to coil about and then squeeze the lifeblood out of every living thing in its path. It will bring down the most strongly built garden arch or pergola. While you are inside making a cup of tea, it will slither through the fence, and start to twist its way up your neighbour’s trees, and twine through their screen door and around their downpipes – and perhaps them too if they sit still too long. There is no species of wisteria that belongs in a suburban-sized garden, whether it’s from China, Japan or eastern USA. Eradicating wisteria: I am trying the same scrape/frill method on the wisteria but, as it was already a little late in the season for this deciduous vine, it has been with mixed success as it slid into winter dormancy. However there are many dry, dead stems now, so I’m hopeful that, come the spring, I can finish it off. No it’s not all ‘jasmines’ that incur my wrath. It’s the highly fragrant common jasmine Jasminum polyanthum that’s super invasive and very difficult to control, let alone eradicate. People who buy jasmine rarely plant it on an internal structure. Oh no, they want to share its heady fragrance with their neighbours, so it is invariably planted against a dividing fence. By the end of its first year it’s a white froth at the top of the fence. By the second, its found its way through and under the fence. 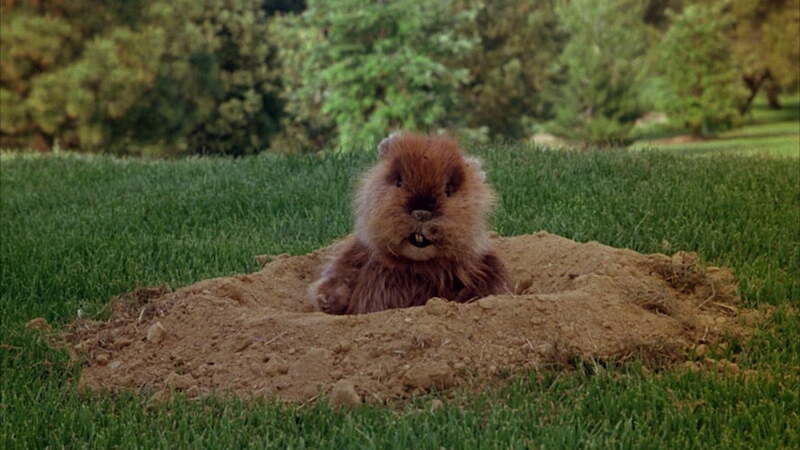 By the third year, if unchecked, it is tunnelling away and then popping up like a cheeky Caddyshack gopher, metres away from where it started. After more than five years, it can be found up to 15 metres from where it began. I know! Eradicating jasmine: it responds very quickly to the scrape and paint ‘frilling’ method. Many Australian local government areas now have a policy about running golden bamboo, Phyllostachys aurea, requiring it to be kept at least 3 metres (10 ft) away from a side boundary. Planted by very selfish people with a privacy obsession, golden bamboo is a devil that will quickly take total possession of your garden. It forms impenetrably dense thickets and its vigorous rhizomes fan out like invading army, marching underground across 20 metres with ease. It creates both a fire hazard and a haven for snakes and rats. However many counties in eastern US states and California now have running bamboo bans or set-back laws. 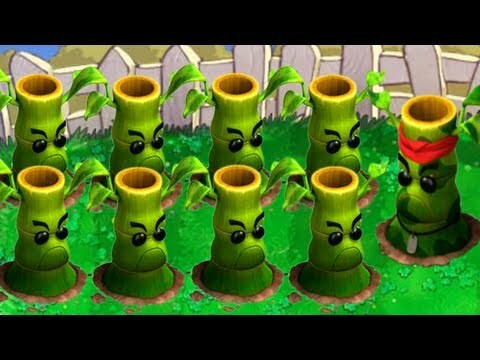 Eradicating running bamboo: You can try cutting and glyphosate painting every cane but I found that just makes it angry. Patient, laborious digging-up of smaller clumps and runners will defeat it in the end. Start where you see the most distant culms and gradually work your way inwards. For larger clumps, it will require heavy machinery – followed up by patient and laborious digging-up. While it’s true that any tree planted too close to a boundary can loom over the neighbours’ yards, the much-hated Leyland cypress hybrids are, I think, the worst. And when you’ve got a whole hedge of them along a boundary, they are a nightmare. Their thick foliage allows no light at all, their dense and greedy roots fill the soil around them and, because many people have this strange and deluded fancy that conifers might be very tall but conveniently stay very skinny, they are often planted much closer to a fence than any flowering tree or shrub. And usually on the planter’s shady side so the cypress won’t make their house dark, forgetting or deliberately ignoring that obvious fact that their shady side is their neighbour’s sunny side. News flash – conifers that look narrow in a pot do NOT stay skinny. Their trunk expands just like any other large tree. Dealing with Leyland cypress: you can wish cypress canker or beetle down upon it which will hasten its removal but that’s only a remote possibility. And unfortunately pruning back to a fence line is a poor solution as conifers do not regenerate from old wood, so you’re left with a super ugly tree that looks scalped on one side. 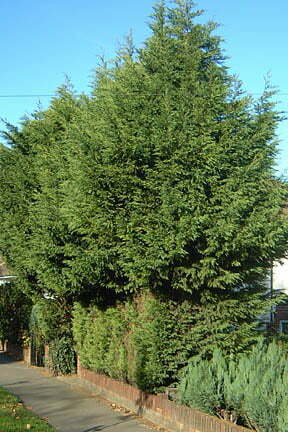 In the UK the Anti-Social Behaviour Act 2003 gives local authorities the power to require high hedges like Leyland cypress to be trimmed where they exclude solar access for neighbours. In Australia, in NSW and Queensland there are tree laws with sections addressing obstruction of sunlight or loss of views from a tree on adjoining land, however in other states you must rely on common law. Now covering vast areas of southern Australia and also California and warmer states in eastern USA, parts of South America and also northern New Zealand, especially along river banks, vinca looks like a wonderful shade tolerant, well-behaved groundcover. Until it isn’t. Often planted by gardeners (and here’s the irony) as a weed control, in warm climates vinca will soon be totally out of control. Eradicating vinca: Its waxy leaf defies herbicide sprays and incomplete removal will see it quickly re-sprout from any stem nodes left in the soil. If your neighbour has it and the boundary fence is not armoured steel that extends 600mm (2 ft) down into the soil, soon you will have it too. If you want to use chemical rather than mechanical control, 360g/100li glyphosate (plus a penetrant) sprayed at the peak of summer growth will have the most effect (see University of Queensland trials). Just like the sociopath, these plants have a complete disregard for the rights of others and will work hard to suppress the growth of other plants in their root zones. Except in the case of black walnut which has roots that exude juglone, the scientific research isn’t entirely conclusive about whether this is by exuding chemicals from their roots or the decomposing fallen leaves or if it’s really more a physical thing. 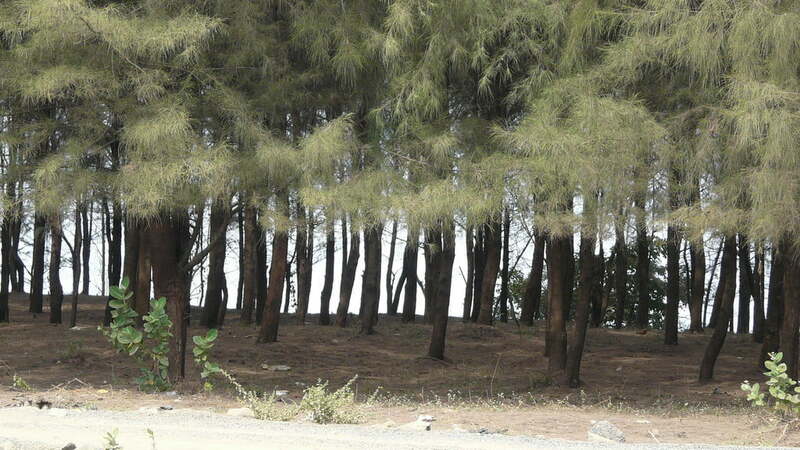 In its natural habitat, Casuarina often occurs as monotypic stands which sure looks like something nasty is going on. The juglone in black walnut acts as a respiratory inhibitor in some plants, particularly apples, tomatoes, pines and birch trees. Nearby plants start to yellow and wilt. But what is certain is if your neighbour has planted casuarina or pines along the boundary, the constant carpet of needle foliage will smother any plants beneath it. That’s if you can even get a plant into the ground in the first place, as the thickly matted root zone will also defy your attempts to dig and plant anything. Dealing with allelopaths: If you’ve got black walnut trees just over the fence, don’t attempt a copse of silver birches or a vegie garden in its root zone. And if the tree produces walnuts and doesn’t seem to be a black walnut, don’t relax, as many productive walnut trees can also be grafted on to black walnut roots. Make sure you collect and dispose of (thoughtfully) the walnut shells of dropped fruit as they too contain juglone. You can find plants tolerant of juglone HERE. As for casuarina needles…hmm. Perhaps collecting them and using them elsewhere as a weed-deterring mulch could be useful? Maybe heaped on top of a Vinca somewhere. Have you ever been out on a walk through suburban streets and suddenly been struck by the overwhelming stink of tom cat urine? It comes as a surprise, when these days most suburban cats are desexed. But it’s more likely tom cats covered in a leafy disguise aka English box or boxwood. How people tolerate this vile stench in their own gardens is beyond me, but planting a hedge of it close to the fence and right near a place that your neighbours like to sit outdoors is just plain bloody-minded. I can’t decide whether it’s worse in colder weather or worse in warmer sunshine but, to me, the stink is quite nauseating. The groundcover conifer Juniperus sabina has the same foetid smell. Combatting plant stink: as you can’t really remove your neighbours’ plants without argument, try planting pleasantly aromatic plants where you sit. As flowers don’t last long enough and are rarer in winter when it often seems worse, I’d choose aromatic foliage. Lavender is strong enough to overcome most bad smells. You can also try an outdoor citronella candle. 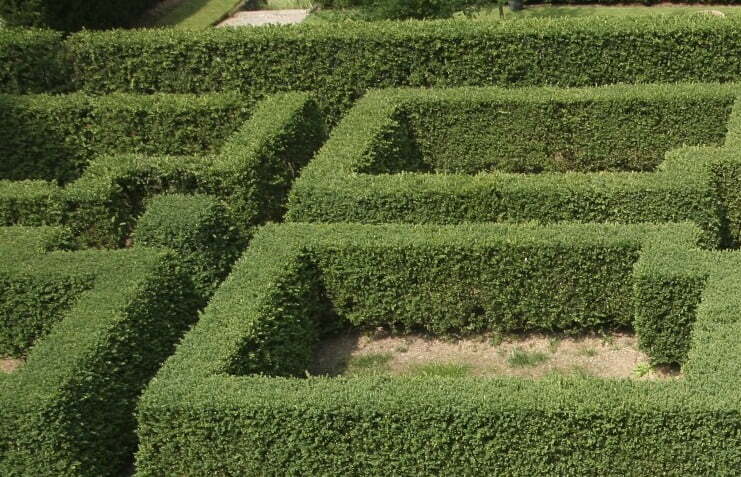 And I read that a boxwood hedge can even ruin a house sale if you’ve put it near your front door! Delightful read on a nightmarish subject. You’ve encountered all of these at your new place, Catherine? Good grief. English Ivy is a pernicious one here in Victoria. If I had a dollar for every one I’ve pulled out of bushland I’d be a millionaire. An important addition – once it becomes arborescent only then does it flower and set seed (it can also be a smotherer too – if you only having it on the ground it’s best hand-weeded). I’ve found if it’s already up trees and flowering the best thing to do to is to sever all growing points up said arborescent structure at about 2m high, then proceed with stem scrapes as you describe. Birds spread the seed like wildfire. Stopping them ASAP is a good way forward. Wisteria – I agree with your sentiments but am seduced by its beauty! Only for the temperate regions one would imagine, and even then only when well managed. Pruning them well takes a bit of knowledge, sadly too often beyond the level of many backyard gardeners. If I could be so bold as to add one of my own?! Robinia pseudoacacia – often planted on boundaries and just as often pisses off neighbours by their winter/spring suckering within a 20 m radius. I revile them, probably because I have to do battle with them regularly in my front garden. Finally – a great bush manager’s tool in combating many weeds is an old ‘shoe-whiter’ dabber bottle filled with neat roundup. You can buy them by the hundred, but I’ve never seen them for sale individually. It’s strictly off-label use, but I have a hard time being lectured to by big chem companies saying it’s illegal for me to use roundup neat while they’re selling neonicotinoids by the coal-loader full. Hope you triumph, which I’m confident you will eventually. And it’ll be all the more enjoyable for it. Oh yes James, you are quite right about the dreaded Robinia and its cultivars. Gardening or mowing in its root zone runs the risk of nicking the roots which then sucker like made. Although to be fair, crepe myrtles do it too. I love a good moan about plants i hate but people continue to plant. I have Buxus en mass but have never smelt it, maybe Im used to it. Maybe it’s not the English variety. The Korean and Japanese buxus don’t don’t seem to have any smell at all and I haven’t noticed it on the dwarf edging box either, although I thought that was a form of English box. I also like Jame’s comments and advice (on the shoe sponge containers) too. As for Robinia pseudoacacia it’s in a class of its own – it has thorny suckers that keep on giving to neighbours years after the tree has been removed. The Mop Top Robinia fashion statement of the nineties is the nightmare of the noughties. I wasn’t sure whether the mop top robinias played the same nasty trick as the golden forms. Sounds like we need a checklist for gardeners of what to look for in the neighbours’ gardens before you decide if you’ll buy that new house. One of our horrors here in Queensland is “Singapore Daisy”- ‘Wedelia (Sphagneticola trilobata) which is on the list of the Worlds 100 most invasive weeds. When the Qld Cultural Centre was built at Southbank, Brisbane in the 1980’s, this very tough and attractive groundcover with masses of orange yellow daisy flowers was extensively planted on the site.Spilling from elevated concrete planters, we had never seen this plant before and due to its cheery robustness, I reckon every gardener in South East Qld grabbed a cutting. 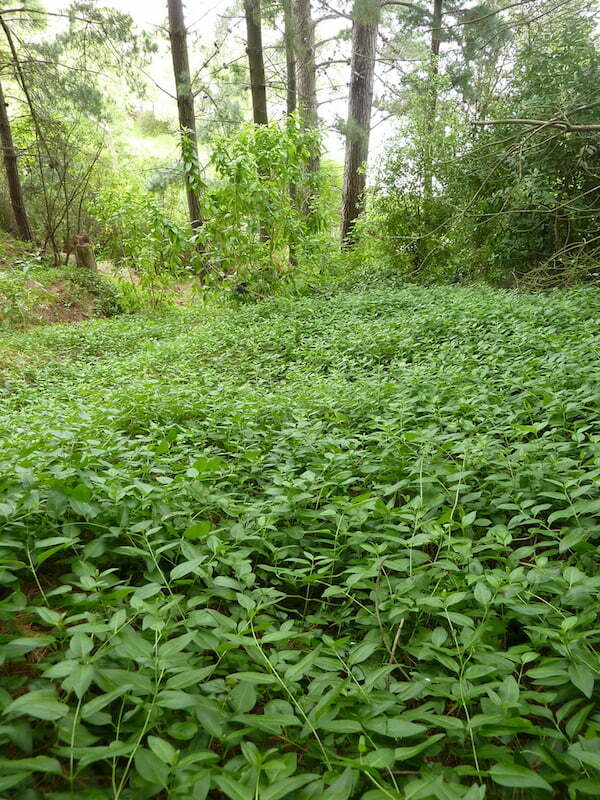 It is now a very noxious invasive weed that infests waste ground, bushland and creek banks everywhere. I’ve never heard of Singapore daisy before Lorraine. Is it spreading by seed, or does it also run underground? oh Catherine – lucky you! I still have clients asking if they should plant it – heck no!!!!!! It spreads by rhizomes and every tiny bit of root left behind will regrow. Poisons only slow it down temporarily, it is very hard to get rid of and can commonly be found bursting through a fence from a neglectful neighbour. I must say I found your article tragic but at the same time amusing. 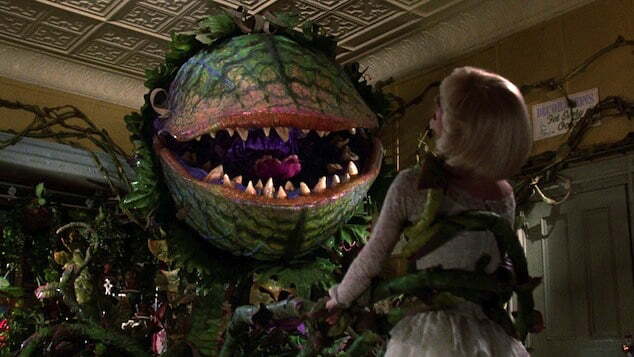 I had this picture in my mind of huge eating plants destroying everything in their path. I have a wisteria in a pot, it flowers its head off, is trimmed when the flowers finish and when it gets too big for that said pot and dies, so be it. As for the English box I am afraid that smell is in the nose of the beholder :), I quite like the smell. It reminds me of Easters 60 years ago in northern Europe when we gathered it to dress the Easter table and baskets of coloured eggs, and also I find it nothing like tomcat urine. I know, we used to visit my grandmother who lived below two old ladies who had at least 15 cats and none of them desexed. Every time I visit gardens in Victoria I am transported to my childhood :). Well, anyhow I wish you all the best on your war with weeds. Thank you Barbara. Next time I get a whiff of english box, I shall try to think of Easter rather than tomcats! When I moved into my house 5 years ago, the first job was to tackle the neighbour’s ivy growing on/over/under/through the neighbours’ fence. Any stem or root big enough to drill a hole in was drilled and, using a syringe, neat roundup gently squirted into the hole. Made a huge dent in the ivy infestation but they still grow it on the fence. Next came the biggest privet trees (and that’s trees, not shrubs) I have ever seen. 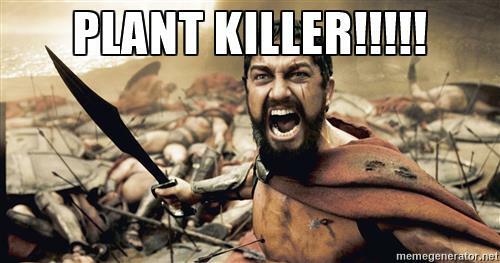 They are incredibly hard to kill! Although cut down to ground level (can’t get rid of roots without demolishing the fence) drilled and bucketloads of poison pumped into them, most have managed to regenerate, so poisoning is an annual chore. I grow English box but I’ve ever noticed the smell. It’s diosma that really stinks! And almost every garden I’ve ‘bought’ had at least one of the horrible things. At least it’s not too hard to get rid of them. Isn’t it funny how one person’s stink is another’s pleasure. I was at a train station today, running my hands through the diosma growing on the platform and enjoying its aroma! And yes, privet is pretty unkillable too although I’ve found that tree and blackberry killer will be more successful than glyphosate. Can I add another one for subtropical / tropical regions ? Duranta repens and its many cultivars, planted as hedges up here, and despite being clipped regularly entertaining the whole neighbourhood with their messy berries and tons of bird poo dropping from the hedges. Once they get out of control they become monsters of up to 5 metre high (and I am talking out of experience her, as we have a completely ignorant neighbour who lets his Duranta hedge go bonkers; the berries are distributed by birds all over the island’s national park, and once germinated they are close to impossible to rip out – the only method I haven’t tried so far is a decent flame-thrower, but I am getting closer to this option. 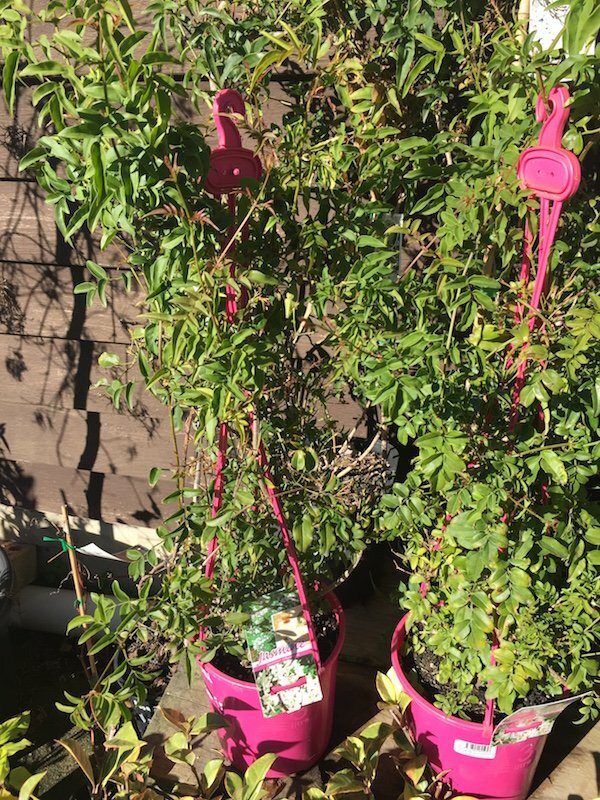 Never plant Duranta anymore and eradicate whatever plantings you may have of them ! I have Duranta repens in this new garden too. 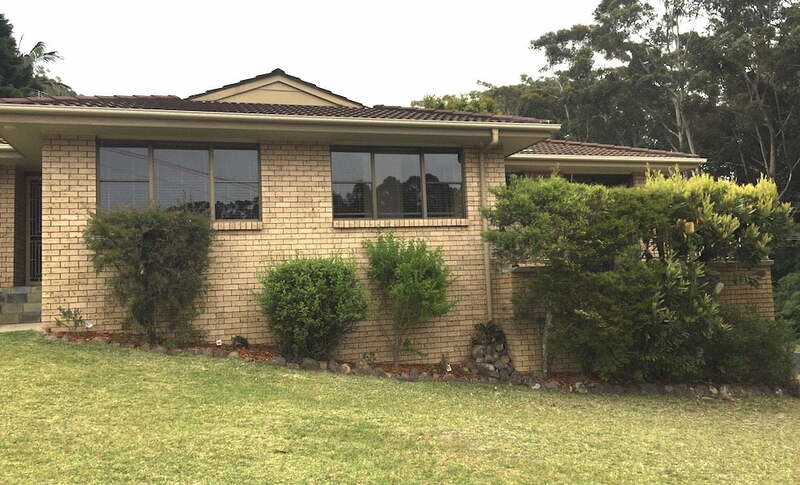 I have cut it down but do not yet know how it will respond to that in south coast NSW…I will report back! The frustration in your fine article is palpable. The suckers from grafted Passion fruit root stock are a lot of fun as well as Plumbago when it seeks to run amok. Ficus pumila can cause plenty of grief also. Fancy a nursery which sells only plants suitable for its catchment area which are hardy and low on the future trauma scale , that would be nice. To me the majority of new gardens are a tragic illusion in that they generally look smart and appealing yet after a certain point the real beast emerges and an unsavory trauma emerges. One of the greatest problems is the focus on speed of growth. A very common question asked in retail nurseries is ‘is it quick growing’. After many years in horticulture I greatly favor the slower or moderate growers and find these plants in general much more satisfying for many reasons. Ray, that’s a very good point about quick growing plants. Quick growing usually equals later garden thuggery! I would add Kikuyu, a strangely much-loved “easy care lawn”. Unchecked, it grows densely up through shrubs and ground covers, where it is impossible to eradicate without also removing everything else. One node left in the soil is all it takes to get going again. It seems at its worst in holiday house gardens where there is none of the constant vigilance needed for its “easy care”. It also grows under fences, paths and concrete slabs, where it emerges looking luxurious and ready to go. Whereupon it meets me…. I remember designing a small paved area for a school garden once that was adjacent to a kikuyu lawn. The committee had planned a simple brick edging and they were astonished when I said that the garden edging would need to be at least 300mm deep. They couldn’t believe that kikuyu could possibly run that deep! I still have callouses from removing giant clumps of agapanthus eight years ago when I first bought my house. I detest those plants. Oh yes they are very tough to try aren’t they. I have a few clumps in the new garden and have decided to let them be! I have a running bamboo which I think is the one you refer to. It had escaped from a garden two houses up from a friend’s house. I’ve had it for years – in pots. I have several big pots, from which they can’t escape, lining my driveway. I’ve battled jasmine for many years, mainly because one of the offspring loved it. But having seen jasmine growing up a chain, I found a solution to its desire to take over the world. Attached a hook under the eaves outside his window, hung a length of heavy chain from it, anchored the end in a hole under a couple of bricks, and planted the jasmine on top. Easy enough to watch out for side shoots going where they shouldn’t, and easy to prune the whole plant back to the chain once flowering had finished. Sounds like the only way to keep jasmine contained – just don’t ever sell your house with it still there! I too have struggled with some of these weeds. I’ve seen fences brought down by ivy. Is it that ‘bad’ gardeners are attracted to these ‘weeds’ just because they are so robust and require little care or gardening knowledge? For someone who does not enjoy gardening but feels they need something ‘green’ to fill a space a robust plant from their local nursery would seem ideal? It would be fantastic if nurseries behaved in a more responsible manner and did not sell these weeds to unsuspecting customers. Yes, I agree ingrid. 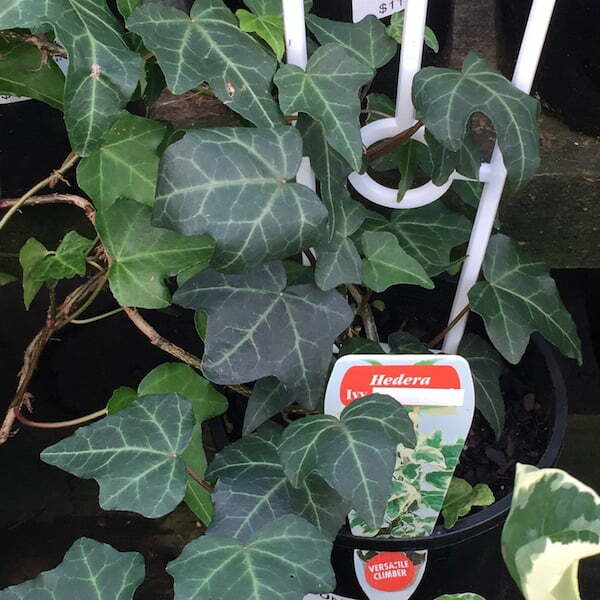 After battling English ivy in 3 different gardens for so many years, I was horrified to see it for sale in my local store. I think that non-gardeners who just want to look out and see a bit of green but not actually garden have no idea at all what a menace they are inflicting on their neighbours. It would never occur to then to even think about it. Your plant list of most hated should read Plant list for the Most Lazy. Wisteria is glorious …buxus (all 95 types..you may be unaware) is one of the worlds great plants. a couple I agree with but must add its not the plant.its the very tired gardener,. Your view is very suburban.I fail to see many wonderful gardens when i visit Australia. I don’t mind the other 94 buxus plants Lyn, it’s just the stinky English box I can’t stand. And I agree, wisteria is lovely – if you actually have room for it. But the fact is that most people in developed countries live on suburban sized blocks, whether it’s in cities or towns or villages, and don’t have acreage where they can grow these plants without adversely affecting their neighbours. If living in Sydney, I would include Plumbago on my list. We have spent many hours/days poisoning and digging it out after it invaded the whole garden bed. This is after paying 2 men to do the initial digging out! They are also horribly sticky when you are trying to cut them down and the blue flowers stick to your clothes – urgh! Ahh yes I made the mistake of planting plumbago in Garden #1. Right next to the driveway where Tony got out of his car – and got little sticky blue flowers stuck to his suit pants every day. Fortunately it was in a raised garden bed and was removable but I have it again in Garden #3 and I don’t think it wants to leave. So many canes! oh yes Catherine and James! and can I add Singapore daisy…..
totally agree with you on all fronts, Catherine. I have waged a war on English ivy, which i won. In 1982, when we moved in, I removed it from the front of the house. and dug it up whenever it reappeared, but the heavily scented jasmine is another case entirely. I am surrounded by it. I keep getting rid of it but two of my neighbours encourage it, so it is soon having its evil way with my camellias. I shall keep trying. Bamboo I have never tolerated and it wasn’t here. Privet I got rid of but in a large garden, it suddenly pops its head up without your realsiing it. Death to privet. Sorry about the cat. All cats should be contained, day and night, which mine are. We built a cat run for them in the garden which they access from the laundry window. They can’t kill nor can they be killed and their digging is limited to their cat run. An easy problem to solve. and for people who say it is not natural to confine them, I answer that they are not natural to this country anyway. Good luck with the cat and the barking dog. Sort of beyond your control really. We have had an unexpected win in the past few days in that the neighbour with the two digging cats has moved out. Now I’m just waiting for the new neighbour and will hope there’s not a barking dog instead! Yes, ivy seems to be a very widespread problem. At least you can blame privet seedlings on birds but the ivy and jasmine are there because some idiot planted them. have a try with the scrape and herbicide paint method on the jasmine. I think you’ll find the results are very good – for you! Lots of nasties indeed, Catherine, but I must add the evergreen ash (Fraxinus grifthii) and sweet viburnum (Viburnum odorissimum) to the list. They are often left to seed and, especially the ash, make privet seems sterile! The viburnum is also prone to disease, so needs a lot of spraying against mites, aphids etc. Except for the seedlings they produce, I accept these two plants are not too difficult to eradicate! Another problem is non-gardeners who get cuttings of these plants from ‘friends’, or encourage self sown seedlings to thrive by action or non-attention. These create the tine bombs! Great article, especially solutions for removal. One of my favorite quotes has always been “Give a weed an inch and it’ll take a yard”. This has been my sentiment for the longest time UNTIL I moved to North Florida. Weeds are a welcome site here, as native plants. Not many of the ones you listed (which was a relieve). I love this blog and will share with my native North Floridians… Maybe now they’ll see that sometimes a “weed” isn’t JUST a weed! Hi Bobby – Cutless and StopGrow are based on a growth-inhibitor called flurprimidol that limits the production of gibberellin in a plant. Gibberellin is a plant hormone that allows cells to elongate. The UK Agriculture and Horticulture Development Board (ADHB) has been evaluating the use of other crop growth regulators – Cutaway (registered as a grass growth inhibitor) and Stabilan 750 (used on cereal crops) on woody field-grown plants, including trees and hedging species (but not conifers). You can read the results here https://horticulture.ahdb.org.uk/sites/default/files/research_papers/HNS%20187a%20Report_Final_2016.pdf. But I cannot find any product currently registered in the UK or Europe for reducing Leyland cypress growth.